What does this have to do with NYC? Plenty. 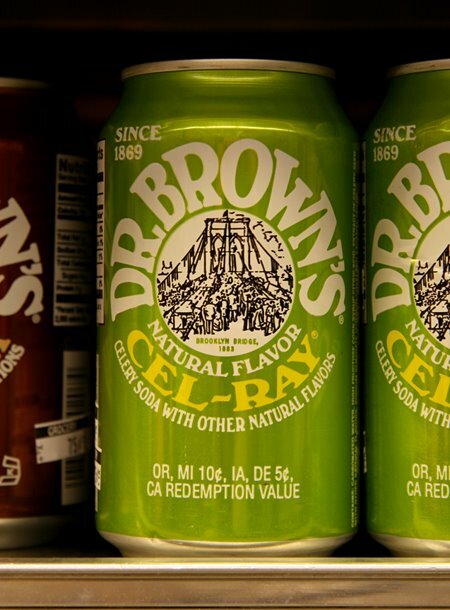 Dr.Brown's Cel-Ray Soda is a specialty item more commonly found in the New York City area. In the 1930s it was even nicknamed "Jewish champagne." The subject of beverages came up while chatting recently with a number of friends on a hot summer's evening. We all volunteered our personal favorites - flavors and brands - cream soda, root beer, etc. One of our group mentioned celery soda - Dr. Browns Cel-Ray. None of us had had one and we became very intrigued. We were unable to locate one at our local green grocer, so it became a mission for a couple of us. There is great satisfaction in achieving goals but in New York City where life can be hard, many goals are difficult so we often must settle for small things. I think this explains the popularity of Sudoku - there is only one solution and a completed puzzle is a small, perfect achievement. In New York City, space is at a premium, so in many instances we do not have the broad range of consumer items in certain categories, certainly not the type of selection of packaged products seen in a suburban supermarket like Pathmark or Super Stop& Shop. We did not find Cel-Ray at our local green grocer. In a way, I think we secretly welcomed this - it gave us a small team goal. One that would most likely be easily achieved.